Many individuals who come in contact with law enforcement and the criminal or juvenile justice systems have a mental and/or substance use disorder. More than 80% of state prisoners, 72% of federal prisoners, and 82% of jail inmates meet the criteria for having either a mental health or substance use issue. Studies have found that for youth in the juvenile justice system, 50% to 70% met criteria for a mental disorder and 60% met criteria for a substance use disorder. Of those youth with co-occurring mental and substance use issues, almost 30% experienced severe disorders that impaired their ability to function. MHANYS helps individuals who live a mental health challenge and are involved with the judicial system in NYS. Assistance and guidance are provided for all phases of judicial system. Unfortunately parents with mental illness often avoid seeking mental health services for fear of losing custody of their children. Custody loss rates for parents with mental illness range as high as 70-80 percent, and a higher proportion of parents with serious mental illnesses lose custody of their children than parents without mental illness. MHANYS also provides assistance to parents living with a mental health challenge and are involved with Family Court. Call MHANYS’ Mental Health Information Center during regular business hours (Mon-Fri., 9-5), our staff operates the MHIC Information and Referral Line. We link callers to a broad range of local, statewide, and national mental health organizations and programs, and answer questions on mental health and justice related topics. 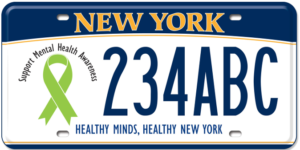 Call us at (800) 766-6177 [outside NYS: Call (518) 434-0439], ask for the Mental Health Information Center, or email us at infocenter@mhanys.org.